January 30 saw as many as four red carpet premieres, well-attended by Bollywood stars -- David, Midnight's Children, Mai and Hansel & Gretel: Witch Hunters. 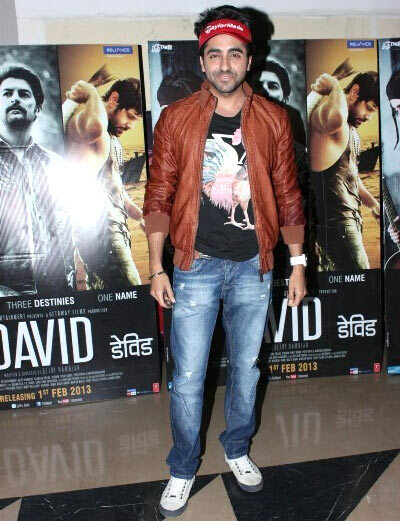 David, which has got mixed reviews, had its premieres at PVR theatre, Juhu, a western suburb of Mumbai. 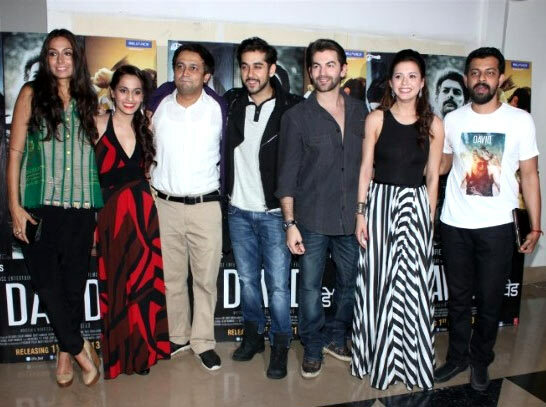 Most of the cast turned up -- Neil Nitin Mukesh, Isha Sharvani, Vinay Virmani, Monica Dogra -- along with singer Shweta Pandit and director Bejoy Nambiar. Virmani's father, Ajay Virmani, a Canada-based businessman, also made an appearance. The rest of the cast Vikram, Tabu, Sarika, Lara Dutta and Milind Soman did not attend the premiere. Shilpa Shetty and husband Raj Kundra dressed casually for the evening. 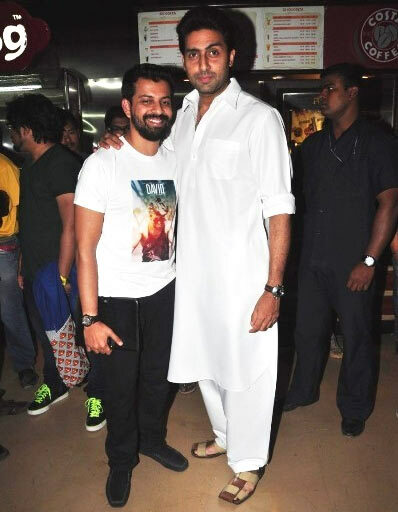 While his father Amitabh Bachchan attended the Mai premiere, Abhishek preferred to watch David, and posed for pictures with director Bejoy Nambiar. Minissha Lamba, who will be seen in an item number in Zilla Ghaziabad, arrived in an off-shoulder dress. 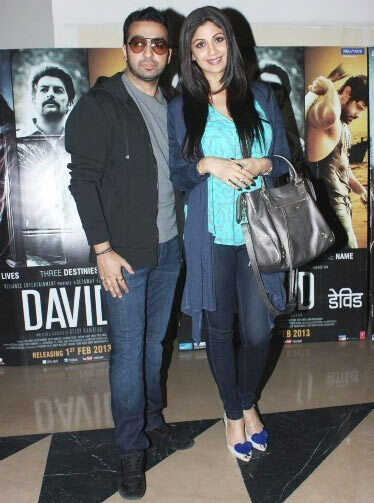 Vicky Donor actress Yami Gautam at the screening. Gangs of Wasseypur actress Richa Chaddha arrives. Zarine Khan strikes a pose. Ayushmann Khurrana, who's had a busy awards season this year for his brilliant performance in Vicky Donor, was also spotted. 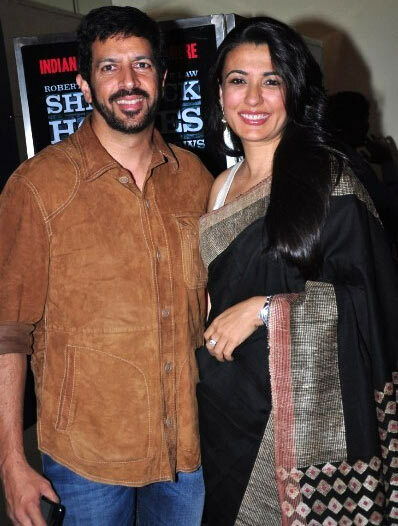 Director Kabir Khan arrives with wife Mini Mathur. Actress Shazhan Padamsee and Udaan actor Rajat Barmecha, who were spotted together at the premiere of Hansel & Gretel: Witch Hunters, arrived together for the David premiere as well.